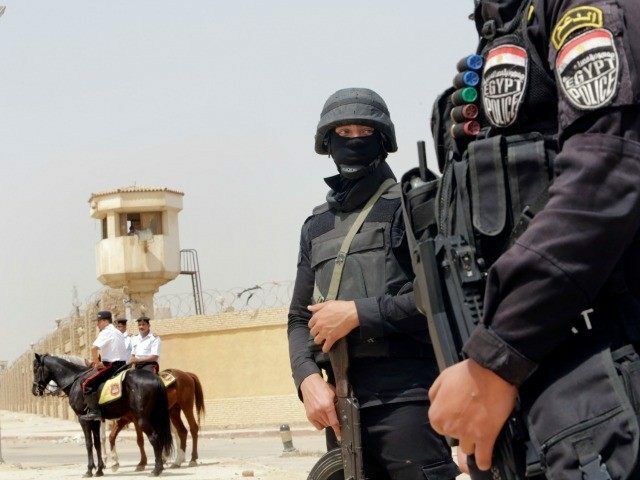 CAIRO, Egypt– Egyptian authorities have arrested 13 members of the Muslim Brotherhood on suspicion of planting bombs around the Suez Canal to disrupt shipping, security sources said on Monday. The security sources said the men formed a 13- member cell that included an employee of the Suez Canal Authority, according to the Jerusalem Post. Egypt is planning for a major event to launch the opening of the expanded Suez Canal on August 6th. Officials say the new canal will be more than double the waterway’s earnings over the next 10 years. The Suez Canal connects Europe and Asia. The Canal earned $5.5 billion in income for Egypt the last year. Speaking to a retired senior Egyptian military official, he stated that there are still many weapons and explosives inside Muslim Brotherhood cells in Egypt. He spoke about how the Muslim Brotherhood threatened Minister of Defense el-Sisi, now President el-Sisi, in his office before the events on June 30th. He said that the terrorists travel to Libya or Gaza, receive training and return to Egypt to conduct attacks. Egyptian officials recently released a video explaining the Muslim Brotherhood’s history of terrorism in Egypt, particularly in relation to the assassination of Egypt’s top prosecutor Hisham Barakat. The video shows former Morsi in court moving his hand in a “slaughtering sign” that then was labeled as “Morsi’s signal of killing” after he received the death sentence. Tera Dahl is Executive Director of the Council on Global Security.